Abu Garcia's Cardinal reels have stood the test of time and just about everything that you the angler could do to them. 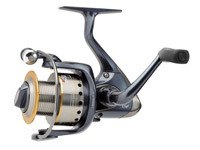 Their latest ranges of reels are no different to what you would expect from this trustworthy brand!. 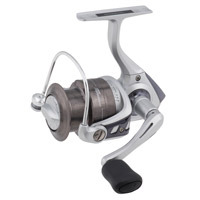 This freshwater spinning reel is the entry level product into the Cardinal range. It features 2 ball bearings and 1 roller bearing that provides smooth operation. It features a lightweight graphite body, with a machined aluminium spool which ensures lightness without compromising on strength. The slow oscillation of the reel provides even line lay to avoid tangles. Its modern design and value for money will make this a definite hit with customers.  2 ball bearings + 1 roller bearing provides smooth operation.  Machined aluminium spool provides strength without adding excess weight.  Lightweight graphite body and rotor. 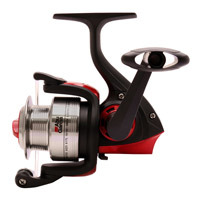 The Cardinal STX freshwater reel offers serious performance with cutting edge design. It features six bearings with an additional instant anti-reverse bearing that stops fish in their tracks. Its Everlast bail system gives the Cardinal STX improved durability and added strength. A lightweight graphite frame won't weigh you down and a Stealth Oscillation system allows for even line lay on the spool. All the reels in the Cardinal series are perfect for spinning applications, coarse or saltwater fishing.  6 ball bearings + 1 roller bearing provides smooth operation.  Machined aluminum spool provides strength without.  Everlast bail system for improved durability. 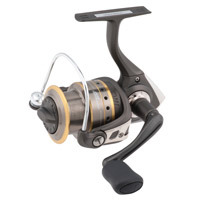 The Cardinal SX freshwater reel offers serious performance with cutting edge design. It features five bearings with an additional instant anti-reverse bearing that stops fish in their tracks. Its Everlast bail system gives the Cardinal SX improved durability and added strength. A lightweight graphite frame won't weigh you down and a Stealth Oscillation system allows for even line lay on the spool. All the reels in the Cardinal series are perfect for spinning applications, coarse or saltwater fishing.  5 ball bearings + 1 roller bearing provides smooth operation.  Machined aluminum spool provides strength without adding excess weight. 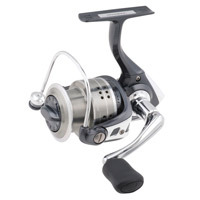 The Cardinal S freshwater reel offers serious performance with cutting edge design. It features three bearings with an additional instant anti-reverse bearing. Its Everlast bail system gives the Cardinal S improved durability and added strength. A lightweight graphite frame won't weigh you down and a Stealth Oscillation system allows for even line lay on the spool. All the reels in the Cardinal series are perfect for spinning applications, coarse or saltwater fishing.  3 ball bearings + 1 roller bearing provides smooth operation. Whether its light spinning or heavier beach work these Abu Cardinal fishing reels will fit the bill perfectly. These general all purpose reels are tuned up with corrosion resistance bearings, stainless mainshaft and drilled spool to keep the weight down, all with front drag operation.  Stainless steel mainshaft & hardwear.